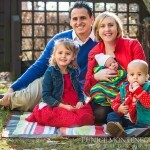 By Eunice Montenegro, photographer, Columbus, Ohio I love doing family portraits during winter! The light can be magic during this time of the year and if you are really lucky it will snow during your session! Also hats and winter clothes add a lot of texture and color. Book your sessions and chill!